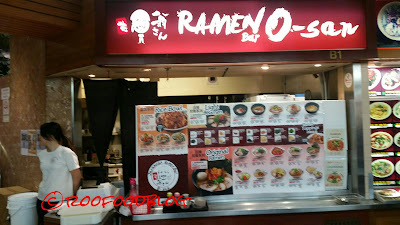 Set in the depths of Dixon Food Court in Chinatown, amid an array of Asian stalls offering huge selections of delights, Ramen O-san is pumping out some very tasty ramen! 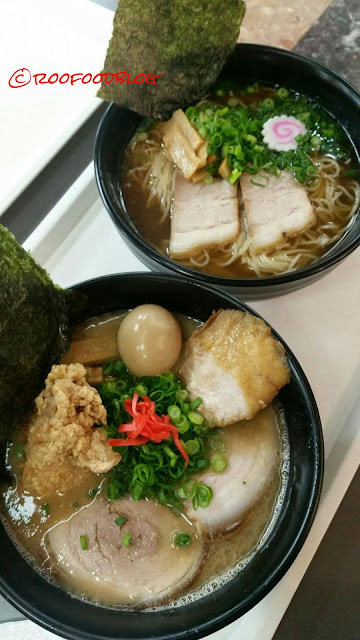 If you prefer a lighter dashi soy style broth or a thick creamy tonkatsu broth to a daring pungent black garlic broths, regardless of whether you are a beginner to this soup or a long time Ramen Head, you will find a steaming bowl of ramen that will appeal to your taste buds on the ramen spectrum. I must admit my mind was boggling over the broths you could choose from. Tagging along as my dinner date tonight is a fresh newbie to all things ramen. He is eager to try this noodle soup and chooses a lighter option to ease his taste buds into what I hope will become an obsession! Roofood on the other hand opts for the Delux Tonkotsu ramen (or the original ramen). The staff are super friendly and will help with you deciding which broth to choose from if you are unsure! When large steaming bowls arrive and I instantly take a sniff. Whispery tendrils of steam waft up and I take a moment for myself. Delicious! 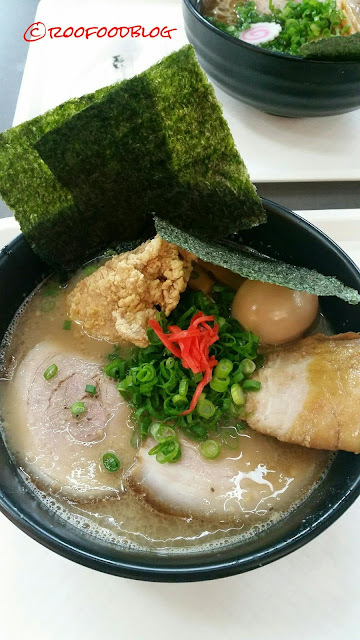 The boy eyes off his bowl of Dashi Soy ramen which comes with a clear broth topped with slices of pork, shallots and bamboo shoots. The Dashi Soy broth is piping hot (beware of a burnt tongue) and the noodles are toothy, chewy textured noodles. The Delux Tonkotsu is topped with slices of char siu, pork belly, a boiled egg, a piece of chicken kaarage (which is not very crispy from sitting in the broth), bamboo shoots, shallots, nori sheets and black fungus. The creamy tonkotsu broth is not nearly as hot as the dashi soy but it is thick and comforting and so flavoursome. The fatty slices of char siu melt in the mouth and the large pieces of pork belly are rich and tender and so very tasty. The noodles have some chewy bite to them and hold the thicker broth well. This bowl is for a healthy appetite and it is a definite winner! 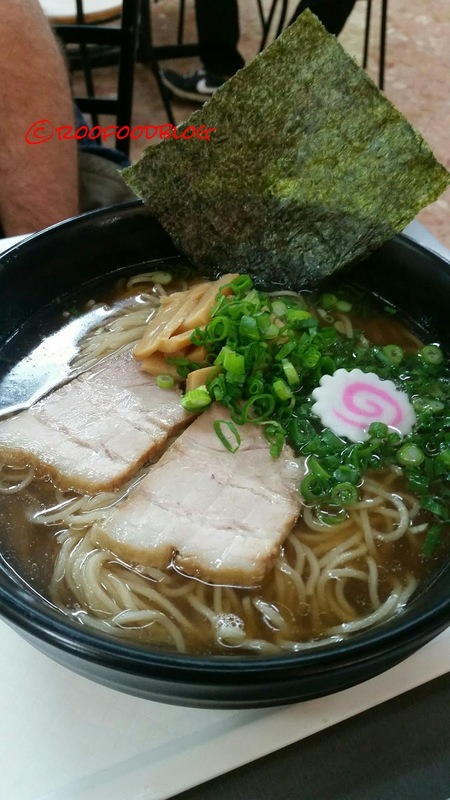 With a plethora of ramen places across Sydney nowadays Ramen O- san firmly have taken their place amongst the top ramen joints for good reason. Looking forward to visiting again soon! * Thanks Washokuo Lovers for the invitation to dine at Ramen O-san.